I get so many ideas on the internet… most of them. 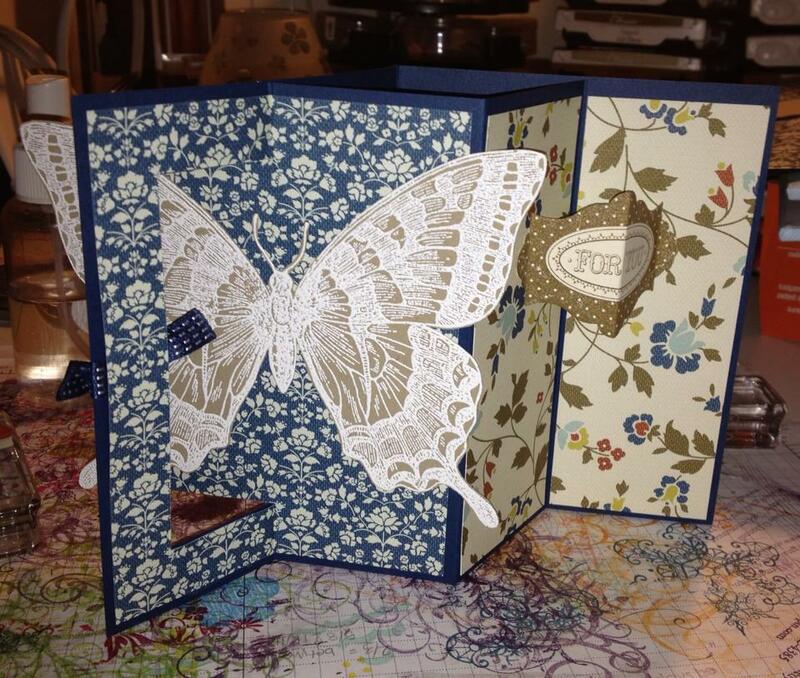 I got this one from someone who posted a beautiful card that was on a French blog. She wanted the instructions translated and Google wasn’t working so well. I searched around a LOT on Pinterest and finally found another version on a Dutch blog. Though I’m half Dutch, I still don’t speak or read it, but thankfully, Google translated this one well enough for me to follow. Plus it had awesome visuals. This card on both blogs was 5-1/2″ square. I prefer cards I can fit in an envelope and potentially mail without extra postage so I converted the instructions into inches from centimeters and shrunk it down to an A2 size. Thank you photoshop for that! 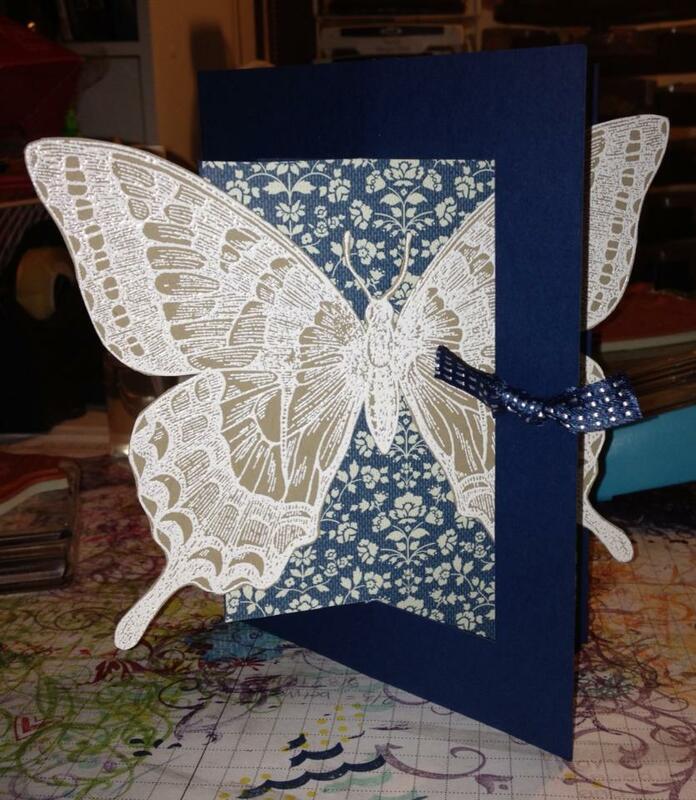 First I’ll share my finished card, which I made in such a way that I can’t fit into an envelope to mail… so much for that 😉 but YOU certainly could if you don’t place a giant butterfly where I did! 1. 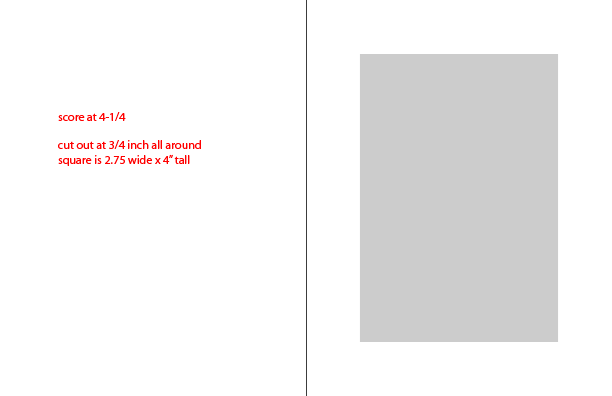 Cut paper to size – easiest is cutting an 8-1/2″x11″ in half. 3. On one half of cardstock use your paper trimmer to first mark where you will cut (unless you’re super confident in your cutting!). Score a 3/4″ border. If you need to, you could also do this with a ruler and pencil. Then cut out with the trimmer or a craft knife. 6. 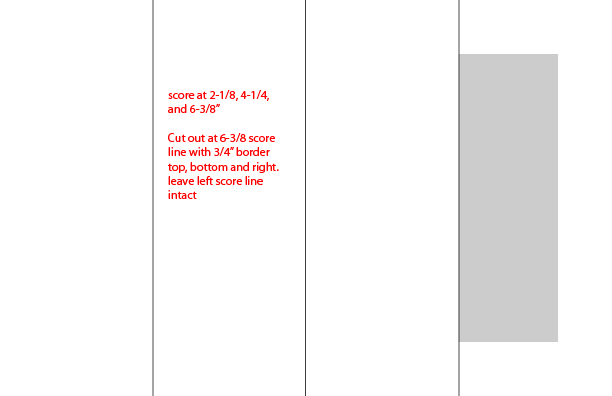 Now that everything is cut out, fold on all score lines except the lever center piece… if you do on accident its not a big deal, you can reinforce it flat when you decorate. 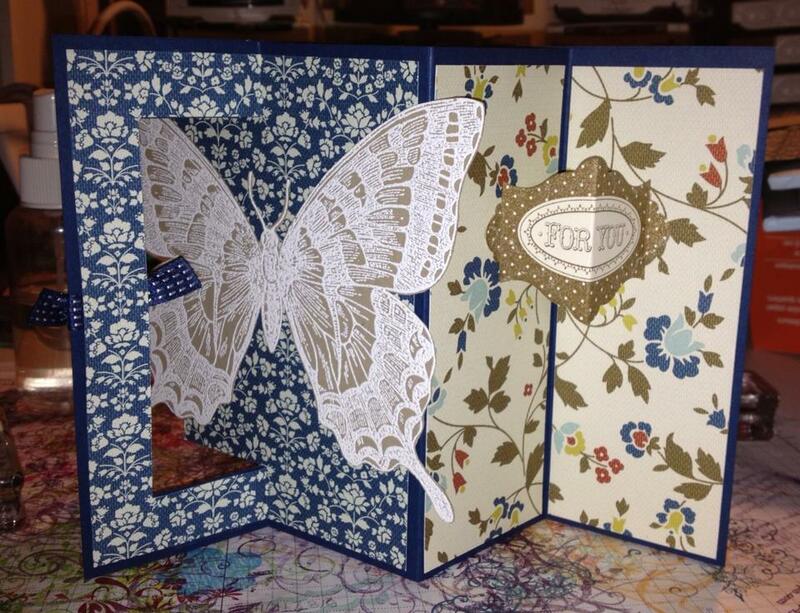 Make sure to score the 2nd cardstock piece in the form of a W.
7. Adhere the 2-1/8″ end panels to match up with the other piece of cardstock. The lever should fit into the window. If it is a tight fit, just run a distressing tool or bone folder along the edges of the lever. Do some light trimming if you need to. 8. Decorate as you wish!